ZenBio offers an extensive array of cell types and plate formats in our regular catalog. 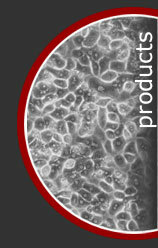 When you require a cell type or plating format not currently listed, please let us know. We are able to work with our surgical partners to obtain various additional tissue types as well as isolate various cell types from tissue we currently receive. One example of custom plating is switching the plate type to white plates with clear bottoms instead of the normal clear cell culture plates additionally we can accommodate special plating requests such as culturing cells on gelatin coated glass cover slips. In addition to offering cells plated in nearly any format you require, we have custom plating and screening packages available. We are able to offer screening packages that include plated differentiated cells starting at 500 plates and running up to any number you require. Screening packages contain fully quality controlled cells at passage 4 and are cost effectively enable you to screen you compounds in a human cell system. ZenBio's pricing for our million point screening packages starts at under 25 cents per point. All of these products can also be prepared after exposure to compound. Please call for additional information.